If Seizure Watch in our house was graded like a terrorist threat level then we've been upgraded from substantial to critical- meaning an attack is highly likely and imminent. 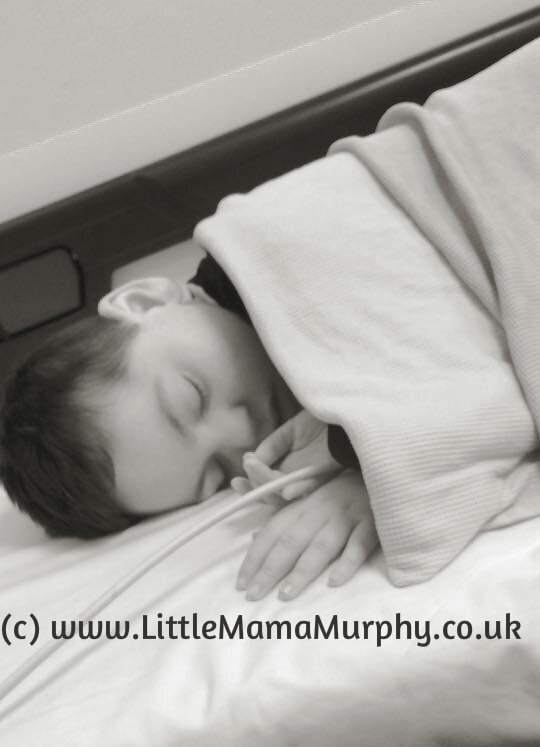 Hugh's had two severe seizures needing resuscitation since he woke this morning. 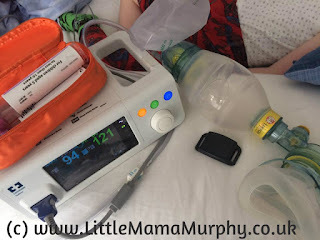 That's twice today he's stopped breathing completely, twice today he's gone blue, twice we've had to breathe for him and pump him full of drugs until the seizure stopped and he took a breath for himself. I'm expecting another before morning. In fact I'm sat here waiting for it. Literally. I'm sat by his bed, watching and waiting. The midazolam is out, the phone is charged and ready to call 999, the bag and mask is by his head, connected to the oxygen, he's hooked up to the sats monitor. The second he stops breathing, I'm ready to pounce. I'll probably doze in the chair next to his bed if I can so I'm wearing clothes comfortable enough to sleep in but nothing obviously pyjama-y in case I'm whisked off in the ambulance at 2am. The hospital bag is packed and waiting at the front door. Contingency plans for getting his brother Sean to school in the morning have been put in place. Yes, we're on high alert; the threat level is critical. And how is Hugh behaving in all of this? You might imagine he looks poorly or is sleepy or has a temperature or something. But no, right now he is rolling around his bed laughing. For all intents and purposes he looks fine. And he is fine. Until suddenly, he's not. And that's the difficult thing with his seizures- there's no rhyme or reason or warning to them. This morning he woke happy and delighted in lying there punching daddy in the face (I too found this quite amusing). And then he stopped breathing. Perfectly happy one second to dying in front of our eyes the next. And yes I realise that sounds a bit melodramatic but it's true. He stops breathing. Completely. He won't start again unless the seizure stops. The seizure won't stop by itself. 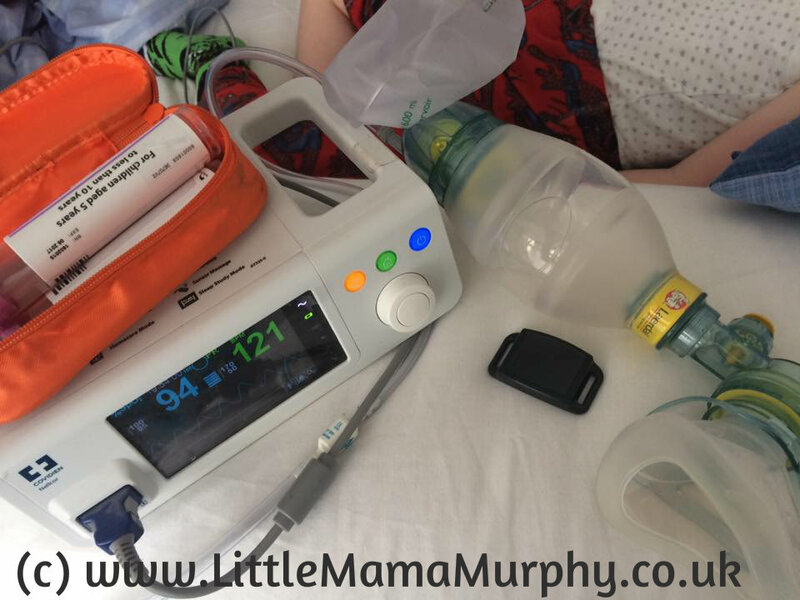 Each time this happens Hugh is completely reliant on us to breathe for him, to get drugs into him to stop the seizure; to save his life. And after? He sleeps. A combination of the powerful drugs and the after effects of the seizure knock him out. His breathing becomes shallow and laboured and he is deathly pale. He remains limp and incredibly still. Almost lifeless. Almost. Today we drove home with him in that state. Debating whether country roads or a busy m6 motorway would be easier for an ambulance to get to us should we need it. I watched him like a hawk the whole way, barely daring to breathe myself. At least once home I know an ambulance can get to us quickly, I know the local hospital staff know him well. And when he wakes, it's like it never happened. His pupils might be a bit larger than normal and his limbs a bit floppier- the after effects of his heavy drug use- but otherwise he's fine. Edited to add: Shortly after finishing this post the seizure we were expecting arrived. We resuscitated him again and called the ambulance. We're currently sat in A&E waiting to be admitted while Hugh recovers from this latest episode.